Right after blogging about it, I lost my favorite lip gloss. 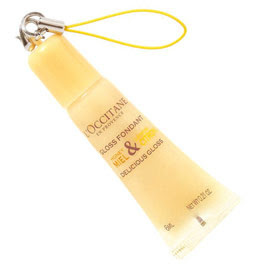 I headed back to L'Occitane to replace it and was pleasantly surprised to find a mini version that attaches to your key chain. This is perfect for me since I'm always misplacing my lip gloss but never misplacing my keys. Let's hope I didn't just jinx myself.